Find latest buying leads and build buyer networks. Add a new global sales channel to your business. Receive regular trade alerts about latest buying offers. eFresh.com is the leading global marketplace for fresh products. Join the growing supplier base and make better business. 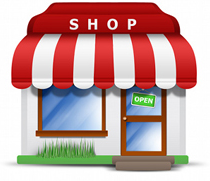 Build your online storefront which is always open and maximize your product visibility in the global marketplace.